Making my blog comparisons for the third year now, I learned few important things (that I should have known from the beginning)… It is almost impossible to make “fair” comparison in all respects, and it is extremely hard (if not impossible too) to exclude all variables. 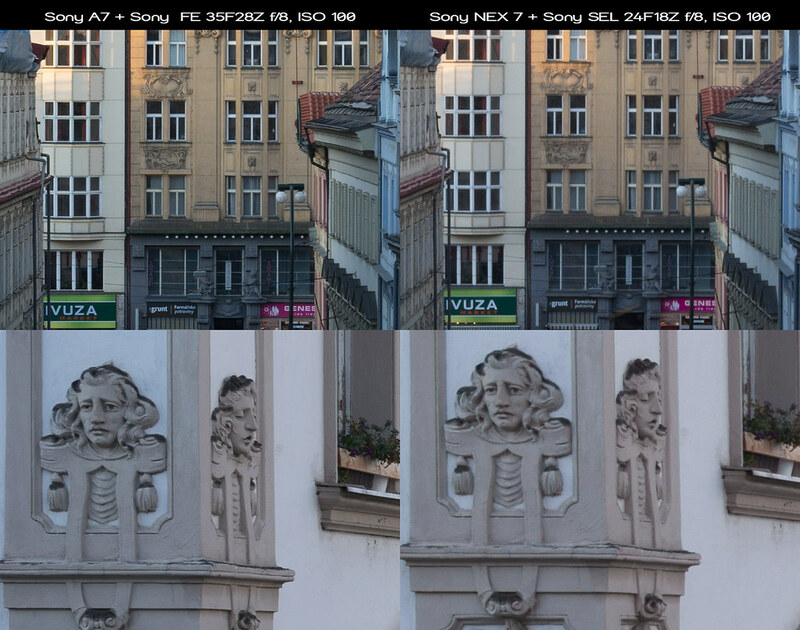 Not so long ago, I have been following one thread on the camera forum, where member posted images taken with Sony A7 and two lenses – Sigma EX DN 30/2.8 and Sony FE 35/2.8 Z. OP wanted to compare those lenses to see which one is sharper (I guess), but he decided to use Clear Image Zoom set to on with Sigma lens, to compensate for slightly different focal length and to get rid of remaining vignetting (Sigma is APS-C lens) after removing the baffle. He made a teaser out of his post, asking other members to pick the image they liked more. 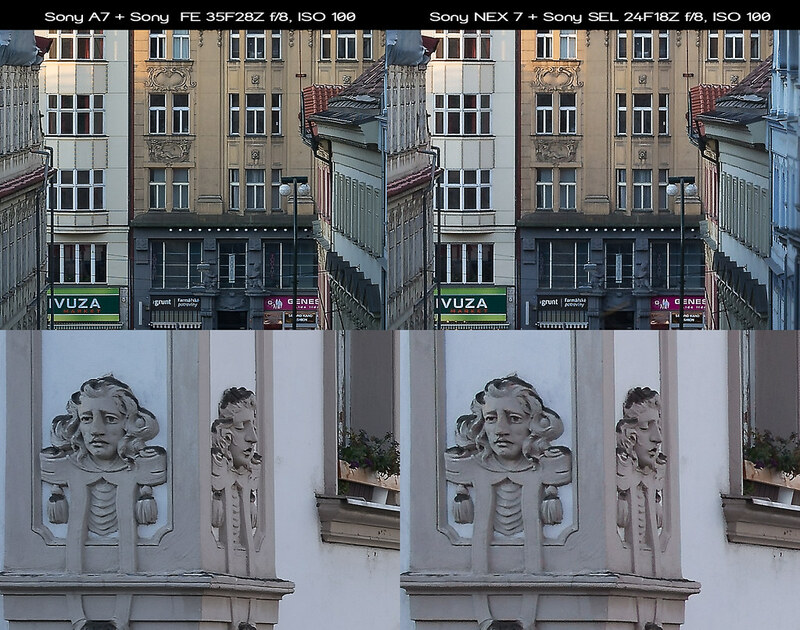 At the end, it shows that sharper looking images were taken with Sigma lens. Many members were surprised, while few that were guessing right were proud of their knowledge. The fact is, that acutance in a Sigma images was higher and thus images looked sharper at the first sight. But the whole test was completely useless, from the moment OP decided to engage Clear Image Zoom. That camera function means that image is processed using pixel interpolation and additional correction algorithms including sharpening. So at the end, we were looking and two completely differently processed images, but nobody didn’t noticed it. That’ s not a good method to compare lenses. My advice therefore would be – take all those web reviews with a grain of salt and if possible, try the equipment by yourself. There were another not less important thing about testing that I learned – there is no sense to test this or that, if you don’t know what you want to find out. I wanted to find out, how much improvement in the IQ I can see, using full frame camera Sony A7 against APS-C camera Sony NEX 7. As a result, I wanted to answer following question to myself – If I will consider to buy new Sony E mount camera, should I spend much more money for A7 with FE 35/2.8 Z or will NEX 7 with SEL 24/1.8 Z be better choice? Let me emphasize this once again – Which one will be better choice for me, because that’s the only POV from which I can take responsibility for my conclusion. First of all, those two setups are rare opportunity to make such a comparison in as much “fair” as possible conditions 🙂 Both cameras have 24 Mpx sensors and they are from the same producer. 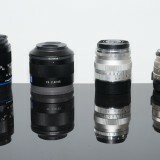 Both lenses are also from the same producer and even supposed to be same design (Sonnars), but one of them is FF while the other is APS-C lens. However, 24mm on APS-C almost equals 35mm on FF in terms of FOV, and aperture gets close too f/2.4 vs f/2.8 (again in relation to FF). This means, that at same apertures, DOF will be almost equal, as well as resolution, and that is good point to start. 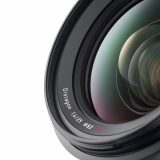 From your emails, I understood that many are considering one or the other option, because at the time of writing this article, NEX 7 with SEL 24/1.8 represents great deal, while A7 with FE 35/2.8 is serious investment. With this comparison I will try to give you my view about differences so that you can be more informed prior to making your decision. I faced a little problem here… If my conclusion should serve only my purpose, I will test both systems in the landscape situation, using tripod, f/11 and after evaluation I would know… But that want help you much I guess… Therefore I decided to test both systems as if I would be a tourist in Prague, without tripod and without several hours that I usually spend on each location before I pull the trigger when shooting landscape. At least, it can be more fun. There will be one (last comparison shot) from the tripod at controlled settings, but otherwise, this test has not empirical value, it shows how I did, with both cameras. 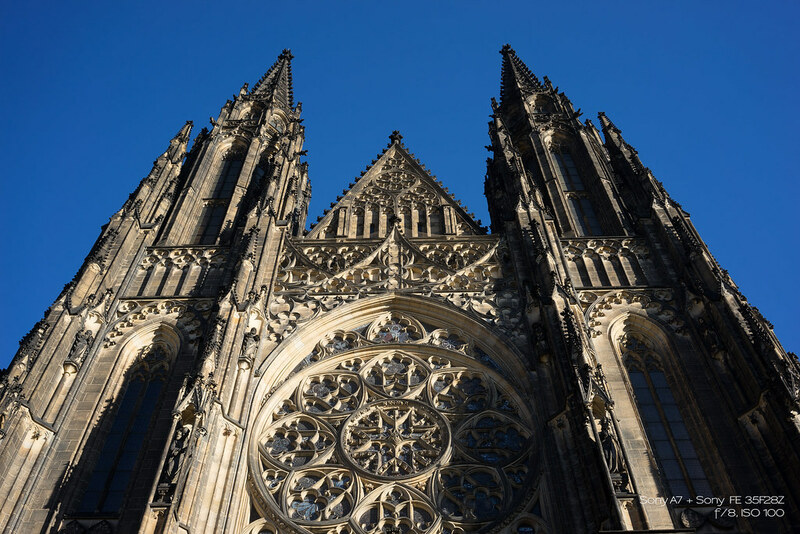 To make it as fun as possible, I actually went to one of the most visited tourist locations in Prague and watched people around. When I saw someone who looked a bit more enthusiastic about photography (basically anyone who used camera instead of iPhone :-)) I went to his spot, turned my cameras (not at the same time of course) to the same direction as she/he did and took a snap. I had to work fast and make my adjusting fast, as I didn’t want to use green square, or iAuto or whatever modes there are. I am RAW shooter, and using A, P or S mode, I can exclude as much variable from camera processing as possible, while keeping my usual routine. So at the end, this test is compromise between being attracted by the similar things as tourists were, spending similar amount of time on a shots as they did, but using my usual shooting routine – RAW in creative modes. Despite using zone metering for both cameras, exposure reading quite differ, so sometimes shutter speeds were different. That could cause some additional motion blur (all shots except the last were hand held), but that’s what I would get from this or that camera in a real life, If I would be a tourist on the mission. I will show you here few shots but the rest you can find on the links at the end of this article. Well both are taken at the base ISO at the speeds of 1/250s and f/5.6 (selected for this type of scene and peak performance) in a good light (not so good visibility though). I had time (guide was only in the 12th century when I sneaked in the group), so I carefully manual focused on the first buildings. Let’s look at the 100% crops. Above is close to center crop, while bellow are corners or edges. I expected larger difference to be honest, but than I thought why? 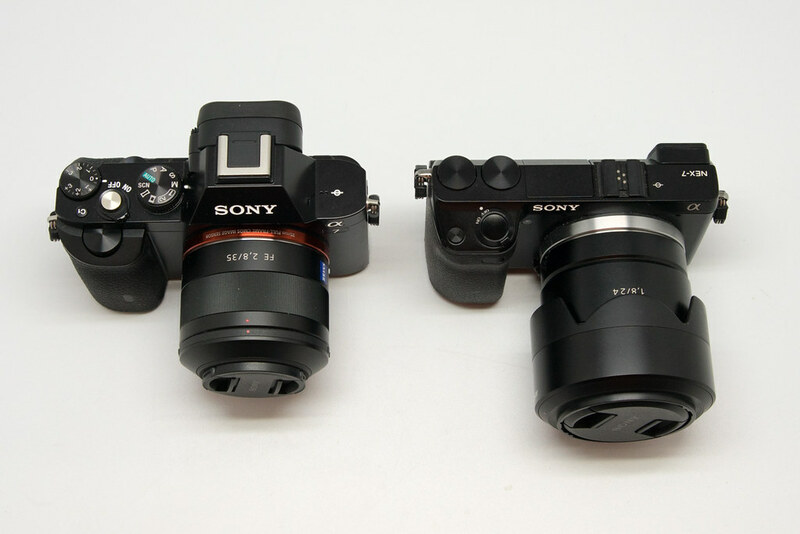 Both are 24 Mpx cameras, both lenses are Zeiss… Ah, I know- because A7 is Full Frame!!!! Well, I got same FOV, and very similar IQ from this first test so let’s move further to see, how the dynamic range is affected with the larger sensor. I am sure, you will find many empiric numbers saying which one is better (A7 is, I’ll save you time), but I wanted to try that in a field. So I was looking where are my fellow tourists shooting those contrast scenes, than even in HDR looks like… well HDR – (highly degraded rubbish). Fortunately, I saw another three umbrellas nearby – pinky/yellow, orange/green and blue/red. Damn, not my team colors, but who care. I choose pinky/yellow (it will postpone my appetite for a while I guess). What a…!_@%% They look quite similar again! No, I am not going to torture you with HDR. I will show you only crops where they matters – from the darkest areas of the image above… (But I had to go through that HDR process (blah…) and I set default preset (with closed eyes) in Nik HDR2. If you can’t see where those 100% crops comes from, that’s because they are almost black in the images above. 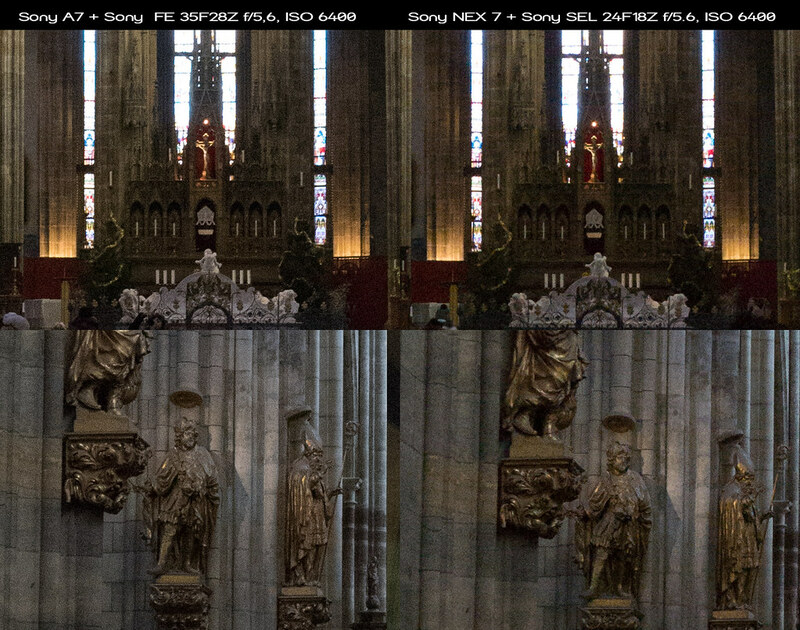 Both Sony sensors does remarkably well here, but once again, I am failing to see big difference (if any). How about subject isolation then? 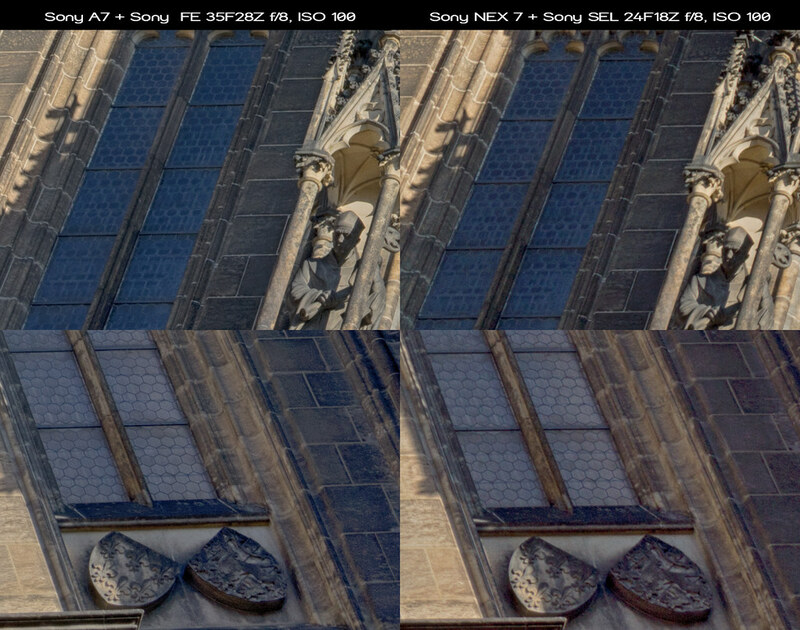 As noticed in the beginning, in this particular case, subject isolation wouldn’t work in benefit of FF neither, because NEX 7 with SEL 24/1.8 Z should actually have slightly shallower DOF (at comparable FOV) than it’s bigger brother. It has slightly wider aperture compared to FE 35/2.8, but it also has shorter minimum focus distance. Looking for the appropriate subject, I saw one nice girl shooting something nearby. I put my smile number 4 and moved close as an experienced professional, in case she might need some help with settings etc. She didn’t… she were shooting her 2m tall boyfriend who made it between us before I was able to offer my help. I made one leg twist and put the camera on my eye just to find this fine close-up, which I guess will serve the purpose. Focus plane is slightly different in those shots, but that can’t influence overall impression of subject isolation. Pick your favorite, but I will go with later. When it comes to subject isolation however, the benefit of FF is very real one. If you can afford some really fast lenses – f/1.2 or even faster, you will be able to retain shallower DOF if you keep same FOV. (Sounds horrible I know… Simply if you put 50/1.2 on A7 and take a portrait, you will get shallower DOF than if you put same lens on NEX 7 and move backward to achieve same composition). You might have read my article about Cathedral of Saint Vitus and problems with tripod. 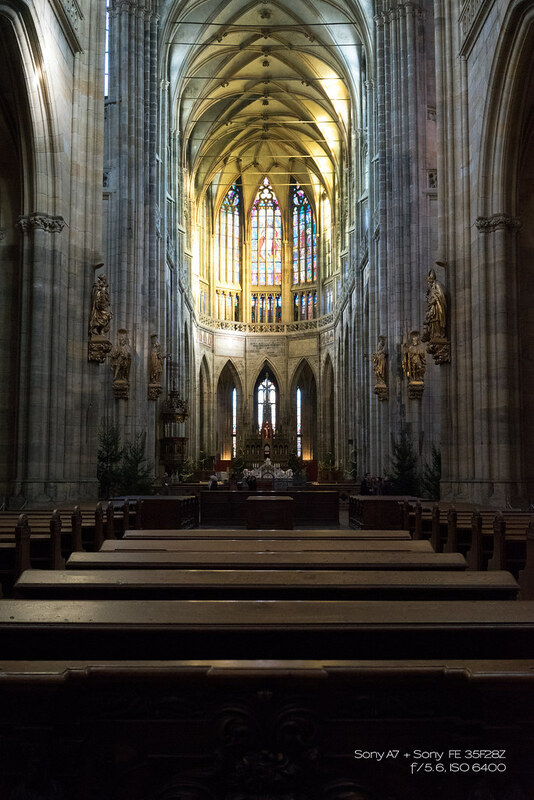 Where else should I try high ISO then right in the middle of this cathedral… I passed my guard fellows with not pretended ignorance, then waited 15 min. or so, till guide didn’t finish his never ending story containing at least 50 names that I have no chance ever to remember, to the group of poor Polish tourists, desperately looking around for the help of Jesus, and escaped two 100 + kilo ladies with huge hats (guards were blind or what?) 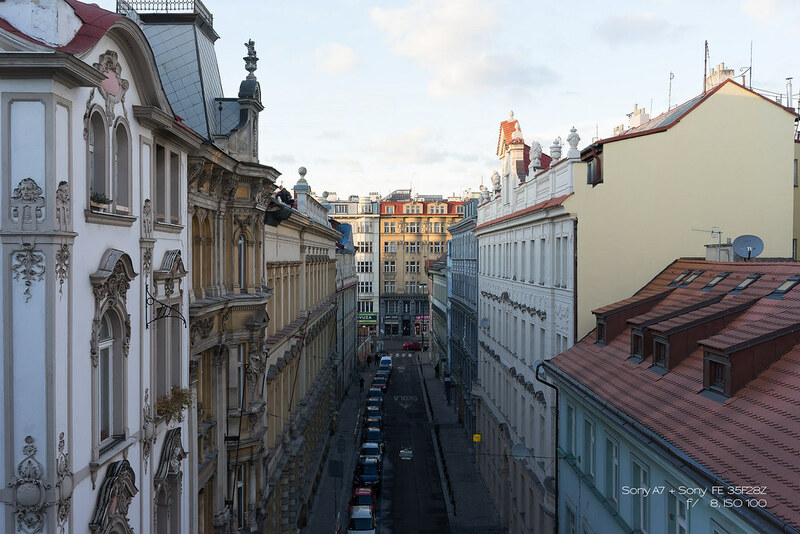 that if not carefully observed might be replaced for famous Prague giant – Golem, to finally get to the sweet spot. Let’s look at 100% crops from a shadow and highlight areas. Obviously, A7 did better here. On the other hand, I expected much better result and this is only… slightly better IMO. A7 image looks more contrast too, but I believe that it is due to the lens corrections hard coded in the RAW files. So, we get to the end of this comparison with the last image to be compared. This time, images are from tripod with precise manual focus and calculated DOF. When we look at 100% crops from the original image (before processing), here is what we can see. 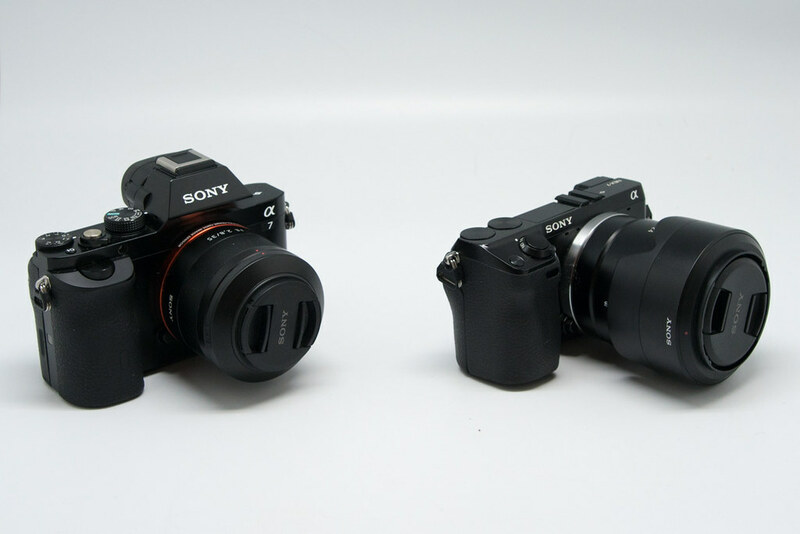 Sony A7 with FE 35/2.8 Z deliver in this comparison slightly sharper image. But sharpness in this case seems to be more about higher edge sharpness (acutance) than resolution… To find out if I am on a good track, I increased edge sharpness on both images to the extent (well slightly over) where I started to see edges falling apart. This is what I got. Now, it will be hard to say that difference is significant. This might also be result of the weaker AA filter on A7, but I am about to believe, that A7 simply applies more image corrections in the RAW files than my NEX with its original firmware does. How that will affect your photography? It probably wouldn’t, but at least I believe to found the reason why I don’t like FE 35/2.8 unlike most of other users and reviewers. If you look at its uncorrected (sort of, because even if you switch corrections off, it still got some in both JPEG and RAW IMHO) files from the camera/lens combination, you will notice significant vignetting and some color casting too. With corrections set to “on” most of problems are solved and you get almost perfect image, with great sharpness corner to corner. But because that performance is boosted with software correction, rendering appearance of the lens, look very digital to me and doesn’t appeal me at all. Most important however is to understand, that comparing lenses software corrected and those uncorrected doesn’t have any empirical value and does say nothing about lens quality. It does say however all, most of us need to know, when it comes to system output. 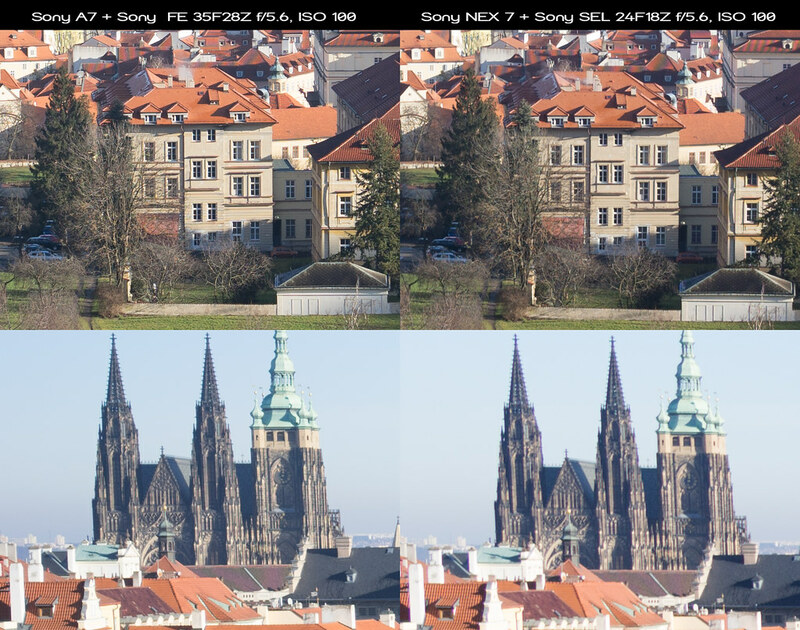 In other words, we can’t say any more that this (software corrected) lens is better than Zeiss Flektogon 35/2.4 i.e. 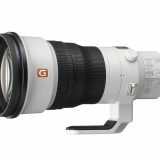 but we can say, that images coming out of the dedicated camera with this lens are better in all respect than same images (before processing) from above Flek. especially with the lens hood on. When it comes to ergonomic, I like much more viewfinder side placement of NEX 7, than central position of A7. But I am right hander and I don’t wear glasses (yet). 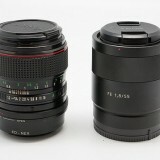 Design wise, it is rather individual, but NEX 7 appeals me much more with its clean lines and functional simplicity. A7 looks like Sony fired few designers in the process, and each of them brought something. Finally, marketing chief, glued the hump and sent it to the market. User interface on A7 is much better. More customization is possible, more logical blocks of settings, 2 custom settings and dedicated EV correction wheel. All that make A7 camera that most users can set to fulfil their shooting routine. 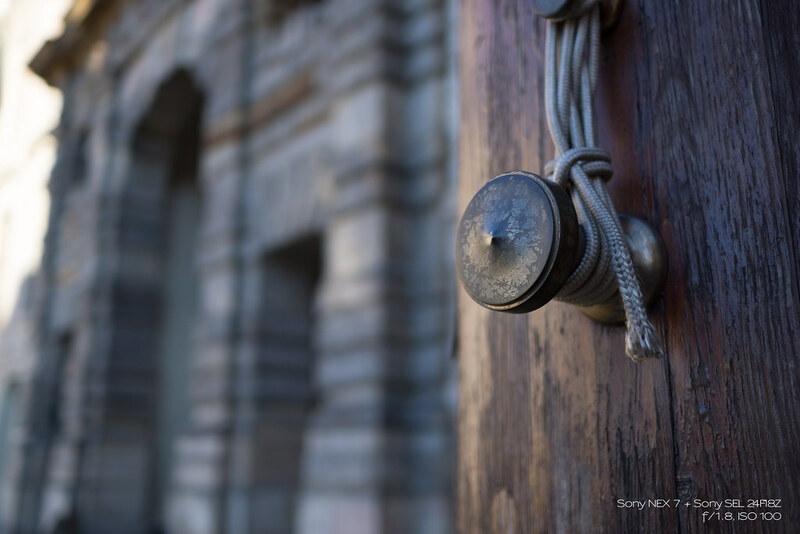 My single reason to pick Sony A7 over Sony NEX 7 would be existence of communication port that allow both – wired remote and tethered shooting (without live view however). One of the great improvements in firmware is splitting of remote control and bracketing in the separate settings. Finally, we can bracket shots without touching the camera. Landscape shooters have been asking for this from the beginning of the NEX time. Zebra exposure control is a great tool, not only for videographers, but also for the rest of us. Learn how to use it, it will pay off. I found WiFi more useful than I thought, especially when sharing some fast snaps for any reason. I can connect the camera easily with my tablet and send small JPEGS even from RAW files. All in all, A7 beats here NEX 7 in all departments and it deserves respect. It’s not just about metal NEX 7 vs plastic (front) A7. Plastic can be good and even better than metal in many cases. But A7 is not one of those. Plastic feels cheap and whole camera feels cheaper than Sony NEX 7. 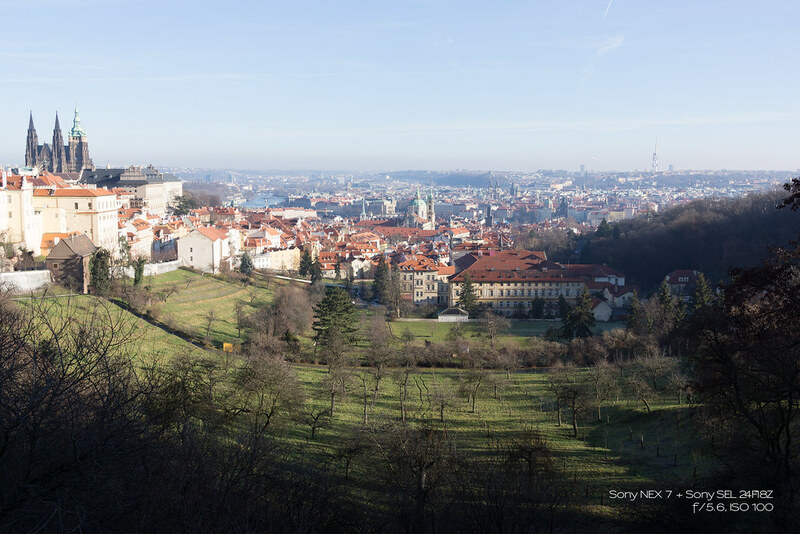 Perhaps owners of latest NEX cameras – NEX6,5R,5T, 3N and A3000/5000 will find build quality of A7 adequate, but for the owners of Sony NEX 7 it is one (not so big, but still) step backward. NEX 7 can make 10 f/s, while A7 – 5/s, A7 has on screen phase detection sensors, NEX 7 doesn’t. In my experience, AF on both cameras are slow for fast moving subject tracking, no matter how you call few tinny sensors on the sensor. I haven’t experience any AF speed differences using same lenses on both cameras (and on A7r and NEX 5N). If you does, (between NEX 6 and 5N/R/T), than it might make more sense to you, but to me, it is only marketing label. 10 frames per second are twice as fast as 5 frames per second. 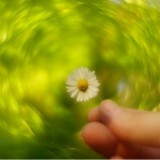 If you use focus preset method, that can be significant difference. But the main reason I give 1 point to NEX 7 here is the camera operational response. Sometimes it takes A7 to switch on too long, and that can mean – no shot at all. IQ was the main topic in this article, so I have nothing new to say. In my conclusion, A7 with FE 35/2.8 Z deliver better image quality than NEX 7 with SEL 24/1.8 Z. But overall, the difference in IQ is much smaller than someone could expect. In the lab, difference can be larger, but in my extensive testing (published is only small part of my test images), difference is rather small. I will not sum the points above. If you like those general ratings, stars and winners vs losers, you can do it anyway. 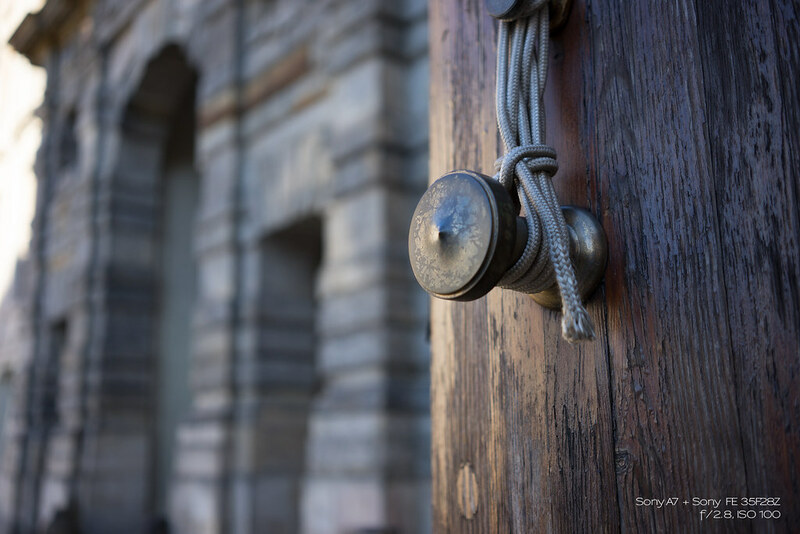 I like to look at those results related to intended use, and as we all should already know – there is no perfect camera, lens or wife (except mine). If you shot often at ISO 3200 and above, you will experience visible improvement with A7. If you love shallow DOF and legacy lenses, consider A7. It can deliver more magic in that regard. 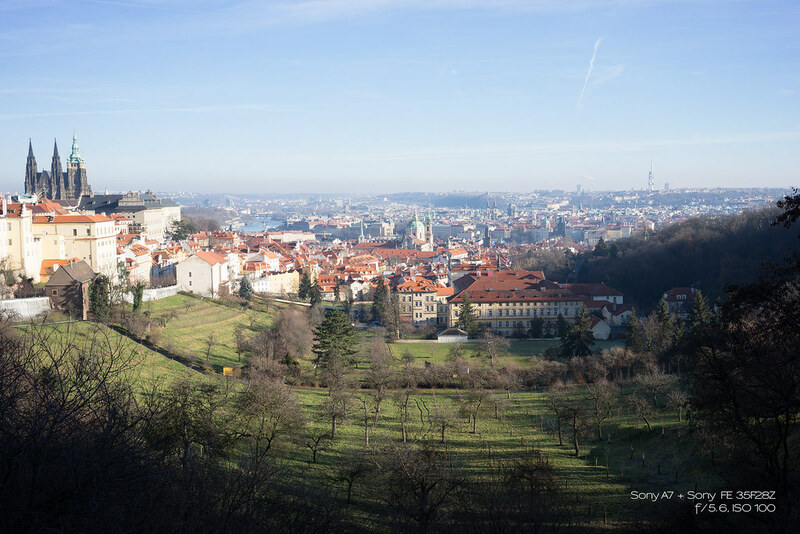 If you are shooting landscapes I would suggest to stay with NEX 7. In combination with SEL 1018/4, SEL 24/1.8 Z, both Touits and some legacy tele option, there is no much more that A7 can bring you. A7r is a different story, but not only entirely different price point, it has its own problems with WA lenses and more. But as being said – that is a different story. If you love flowers, macro or wildlife – NEX 7 is better option. If you want family camera to memorize those valuable moments – A7 might be better option, but consider also m4/3 or entry level DSLR. Both will be better options for this purpose IMHO. Finally – if you have a chance, try A7 before you order it. You might find yourself excited, as well as inferior or even disappointed. Whatever you decide, I wish you lot of great images and considerate guides. Hi Daniel and congratulations, I am afraid that it isn’t possible to set direct level of focus magnification, but I set focus magnification for the “central button” and I find it comfortable to zoom in by clicking it for 2x or 3x if needed. 1st click (work only in MF mode) brings focus area square, (you can then move it to the area where you want to focus, before you click for the second time, or you just click rapidly twice or three times to bring magnification to respected ratios (1st click – 5.9x 2nd click – 11.7x) and then use left, right, up an down to move the image area. I get used to this method very fast. 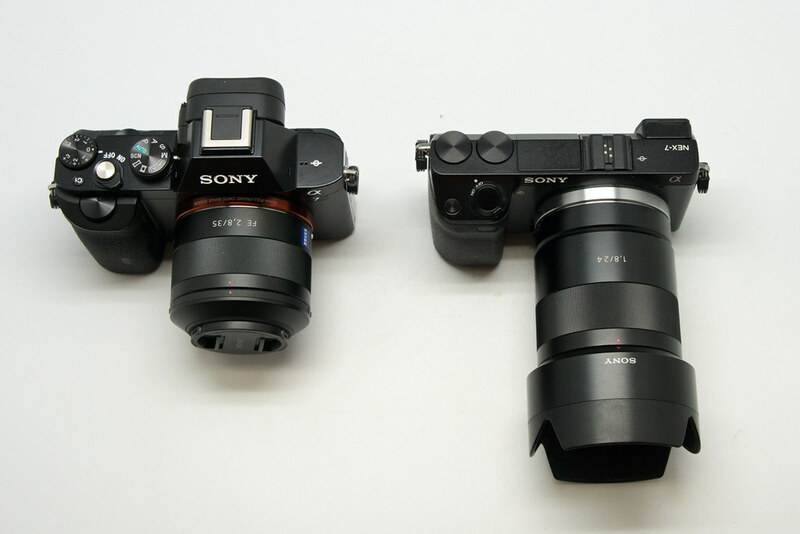 many thanks for your great A7 / NEX-7 comparison. 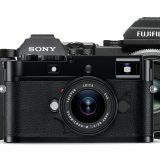 Since the A7/R have been introduced I kept reading the reviews and thinking (rather theoretically) about getting one of them as an improvement over my NEX-7. 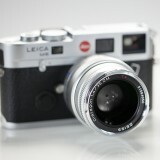 I am particulary interested in UWA lenses, as my main use of cameras is documentation of architecture. I have to say that I am quite happy with the combination of NEX-7 and SEL1018, which I have used on my travels in the past year. I am still wondering what the announced successor of the NEX-7 is going to offer (and to what price), but I can now stay with my gear without any inferiority complex :-). 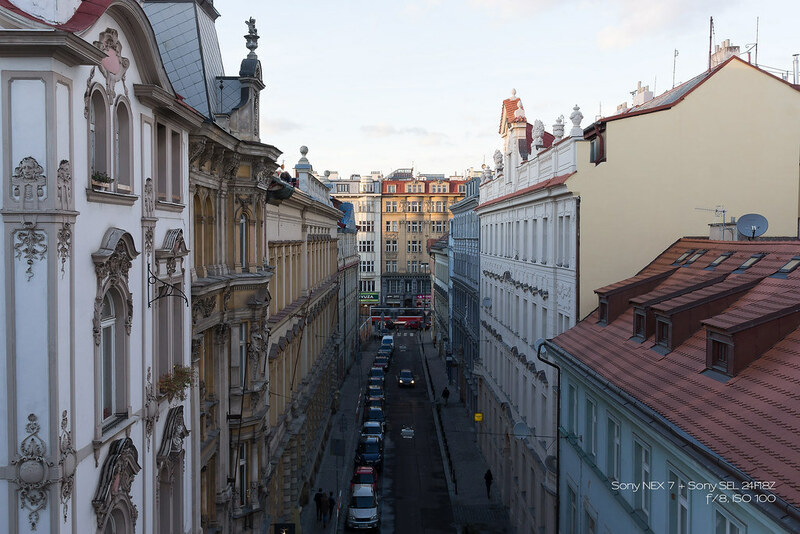 The NEX-7 is capable of fantastic images, that’s for sure. Compared to the A7, I don’t think there’s too much in it. I will say that I find the RX1 to be better for me than the 24/1,8 (which I loved), as it has thinner DoF and is faster, allowing lower ISO. With the SEL35F28 – that’s not the case (as you say). I think I’ll get the A7R, and it will probably last me many years. If I ever need to get quick action shots of children, well, I will decide on a camera nearer the time. comparing A7r and NEX 7 is rather tough because of a difference in resolution. Question is what one would like to find at the first place. 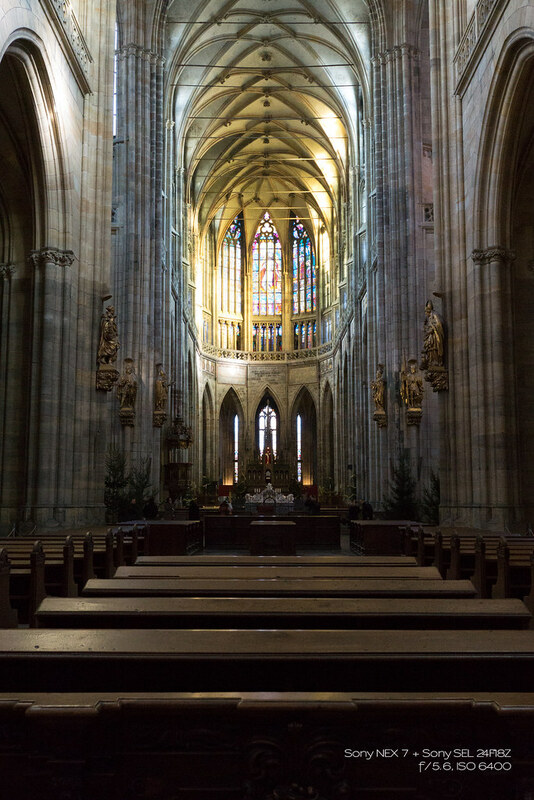 A7r is a camera that with a good lens (and user skills) can produce richer images in terms of resolution, DR, colors. 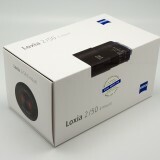 But at the end, it is just another digital camera that in a few years or even sooner will become obsolate. Thank you for your excellent review. I really appreciate your hands on, real-world approach. In the end, photography is what the eye sees, not what the technician measures. Very nice review. I have just bought an A7 because I have found an offer I could not pass. Coming from the 5N (which I love), it is a huge plus in ease of operation and the VF is amazing. I found out the the high iso capabilities of the FF sensor surpass the APS-c 16 MPx by a good margin and that can make a difference if you shoot moving things in a less than ideal light. For static subjects however that is not relevant because I could raise the exposure time and use a tripod most of the time. The ability to use old MF lenses in their native FL is wonderful. I have some Rokkors that have been stellar with the new camera. Hi ! 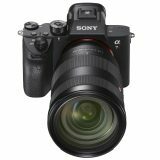 I was looking for some comparison of the A7 vs. the A6000 on the web, and came across your great article. Thanks for all your work, it is very useful ! Comparing your images from both cameras, it makes me wonder whether going to a 24MP FF is still worth it if you always shoot at ISO100 and don’t want DOF lower than, say, 1.4 on APS-C. They look so close, even more when you consider that you’ve compared the 35 at its sweet spot (between f5.6 and f8) with the Zeiss 24 which is better at f4. I’m not sure there would many differences. It is always difficult to answer questions like yours from an objective stand point. You can look at this comparison also from a slightly different side – if you’ll have a choice of picking A6000 or Canon 5D mark I, regardless of size and weight, you’ll probably go with A6000, because of the newer sensor technology (dynamic range and resolution are better with A6000). Still, if you take a look at landscape images taken with that old Canon, you might find lot of amazing shots. The point here is that real field difference between A6000 and A7 at base ISO (and around) is probably last thing that will determine the quality of your shots. You can expect slightly better dynamic range with A7 but that’s about it… Leaving aside all other aspects of both cameras, it’s a shame that Sony didn’t update firmware for uncompressed RAW on either camera, because in some situation that will be notable IQ improvement. I’ve been using NEX 7 and later A6000 as a second camera and few times even as a main camera (with SEL 1018 f/4 OSS) on several landscape expeditions and I always found resulting images to be on par with my Nikon D800E (G 14-24/2.8) in most aspects. My answer thus is – you don’t need either upgrade (don’t mix what you need with what you want :-)), because FE 55/1.8, while being excellent full frame lens, won’t give you much over 50/1.8 SEL, in most situations(and you’ll loose stabilization). 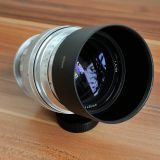 If you are torn only between those two options you mentioned, I will probably go with Zeiss FE 55, as it is very probable that you will upgrade on FF sooner or later.